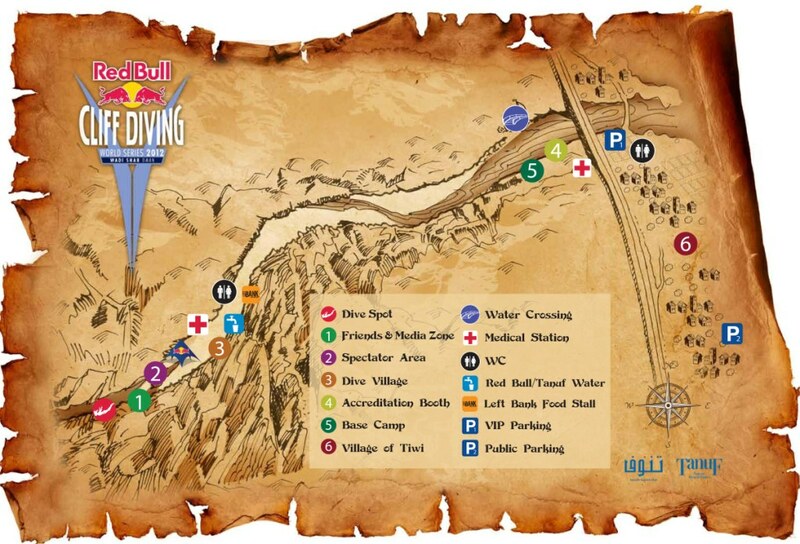 Next weekend, on the 27th of September, Red Bull's Cliff Diving world series finals take place in Wadi Shab right here in Oman. The Sultanate of Oman hosts the season showdown in the gorgeous Wadi Shab. 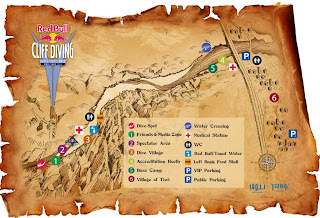 The canyon-like valley provides a most spectacular backdrop for the crowning of the 2012 Red Bull Cliff Diving World Series Champion. Palm and date trees line the narrow, winding and old rock paths, with a series of streams, aquamarine pools and waterfalls — the Wadi combines the attractions of coastal areas and inland wonders. Wadi Shab lies in Niyabat Tiwi, a village between the capital, Muscat,and the town of Sur. Easy to reach from the Qurayyat-Sur highway; it has at least seven pools of emerald green water and is studded with dramatic boulders. One of the pools is in a cave where light streams in dramatically from above and there are fantastic echoes heard when one swims in it. Kingfishers add glorious splashes of colour. Although parts were damaged in a cyclone, it is still one of the most scenic Wadis in all of Oman. Some of the natural pools are not for swimming in, however, as the spring water is an important part of the local villages’ resources. So, something fun to do next weekend if you fancy heading down to Tiwi! 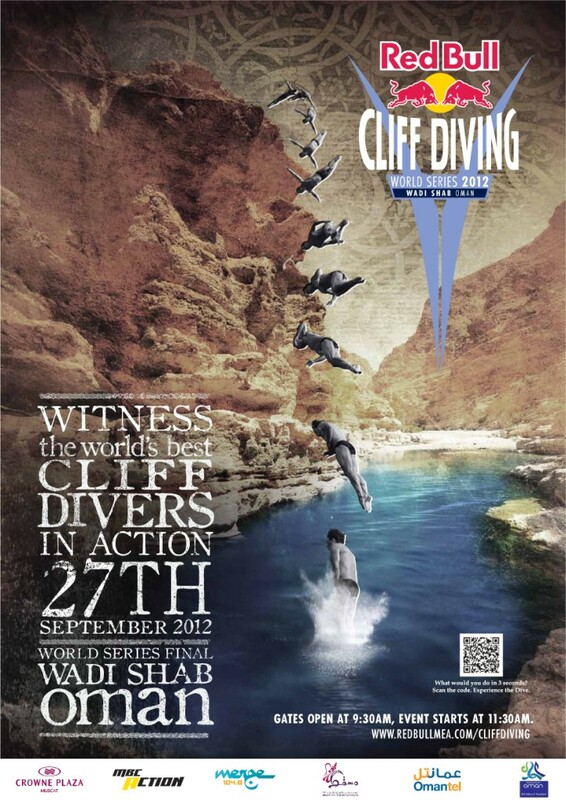 I'm really curious as to where in Wadi Shab this will take place. Also how are they ever going to figure out parking down there? can u pls publish map how to get there. also if it a free event or we need ticket to get in. How long do you think the walk is from the parking area? I can't make out the map. Thanks.